Friday, December 28, 2018-There are so many fake pastors masquerading as men of God and brainwashing innocent souls. These fake pastors who run private churches with their wives have poisoned the mind of those who follow them through misleading sermons , to an extent of being treated like gods. 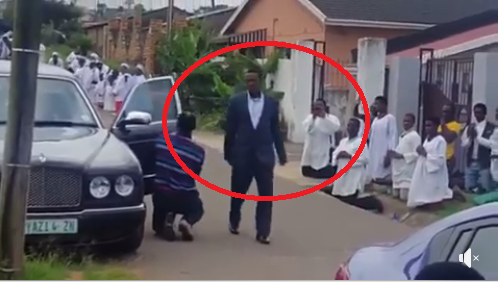 A viral video of a preacher being received by his gullible followers like he is the giver of life is going viral and people are condemning this madness. How do you kneel before a fellow human being?